I was watching a recent David Wilcock Wisdom Teachings episode on GaiamTv called Magnetic Resonance Technology, and was inspired to create a better Schumann Resonance audio file. David Wilcock said that for a Schumann resonance generator to be effective, it needed both the 7.83 Hz signal as well as the even lower frequency that comes from earth itself, about 0.5 Hz. 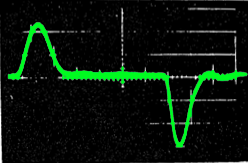 Here is a graph of the waveform I created that has both a sine wave 7.83 Hz signal, as well as a sine wave 0.5 Hz signal. If you would like to create your own frequency files with 2 different signals inside, like the audio files above, here is how you do it. Using the Create a Frequency Set tool, I created a 200 second long Sine wave 7.83 Hz audio file. Then I created a 200 second long Sine wave 0.5 Hz audio file. I then imported each of these audio files into 2 different tracks on Audacity. In Audacity I decreased the volume of each track by 50% (-0.6 db), selected all tracks and then mixed the tracks using the “Mix and Render” menu command. As you can see from the file sizes, the MP3 version is 175 Mbyte, and the ALAC version his 147 Mbyte, so these files will take a while to download. The FLAC version is only 46 Mbyte, so if you can use it, please do. Because these file lengths are so long, I’ve come up with another way to create an 8 hour (or longer or shorter) sleep program described in the following section. Another way to do a sleep program is to make smaller frequency sets and assemble them together in a playlist. Here is a description of the pieces you can use to create a playlist for your own custom sleep program. Each element of the play list a half hour, or 30 minutes long. You can piece together your own program. If your music player does not support playlists, you can take a file that is used multiple times, and make copies of that file with a new name. On my Sansa Clip+ music player, which does not have playlist support, I needed to put numbers in front of the filename so that the files would play in the correct order. theta-lilly is a program that stays in the light sleep Theta wave state for a half hour. Its frequency set is 4=1800. theta2delta-lilly is a half hour program that goes from a light sleep Theta wave state to a deep sleep Delta wave state. Its frequency set is 4-0.5=1800. delta-lilly is a program that stays in the deep sleep Delta wave state for a half hour. Its frequency set is 0.5=1800. delta2beta-lilly is a half hour program that goes from a deep sleep Delta wave state to an awake Beta wave state. Its frequency set is 0.5-20=1800. delta2theta-lilly is a half hour program that goes from a deep sleep Delta Wave state to a light sleep Theta wave state. Its frequency set is 0.5-4=1800. Some diypemf users have requested (and some have built their own) solfeggio frequencies and the solfeggio tones. I can’t attest the effectiveness of these frequencies, though 528Hz is universally known as the DNA/Love frequency. John C. Lilly was a neuroscientist who invented the Lilly wave or the Lilly pulse, which is a balanced bidirectional pulse pair, which looks as follows. This wave is useful because it does not damage brain tissue when an electric current is applied to the brain via electrodes. Using this waveform prevents both thermal and electrolytic damage. You can read more about the Lilly wave here: The Lilly Wave. Also, what is somewhat controversial is that the Lilly wave is used in mind control because this waveform does not fatigue the brain or damage its tissues. You can download the Lilly wave version of the PEMF frequencies described in the earlier blog postings in the following table. [June 22, 2014] If you downloaded any of these Lilly wave files before June 22, 2014, please download them again. The script I used to create the zip files installed the standard pulse wave frequencies, not the Lilly wave frequencies. These zip file have been corrected. In the frequency files included in this series (see the table below) are files with single frequencies that are useful for pain relief, relaxation, and healing. 7.83 Hz – this is the Schumann resonance frequencies, useful for pain relief and relaxation. 9.6 Hz – this is the earth frequency, useful for relaxation. 10 Hz – this is a particularly healing frequency. If you lookup this frequency in the Cross Reference List of CAFL Frequencies, you will find it useful for healing several ailments when used with Rife-like frequency technologies. 20 Hz – this is a particularly healing frequency. If you consult the CAFL cross-reference, you will find it useful for healing several ailments. 528 Hz – this is the DNA repair frequency. When you play these files, remember to place your MP3 player into single song repeat mode. There are three different kind of frequency files below, MP3, Apple Lossless Audio Codec (ALAC), and Free Lossless Audio Codec (FLAC). For the Apple/iOS platform (iPhone/iPod/iPad), use the ALAC. For Android, use FLAC if your player supports it. Otherwise, choose MP3. The ALAC and FLAC archives are smaller and compress better than the MP3 archives, and they also have zero loss or distortion of the signal. [May 27, 2014 Update] I’ve updated the album name to “Single Frequencies”. [May 30, 2014 Update] I’ve added ALAC and FLAC support. In the frequency files included in this series (see the table below) are files with frequencies that your brain creates at different stages of sleep and consciousness. These frequencies put you to sleep, put you into a relaxed awake state, or keep you alert. Beta 14-20hz – these are the frequencies the brain generates when in an alert state. These frequencies will be healing and will entrain your brain to operate in these frequencies. Alpha 8-14hz – these are the frequencies the brain generates when in an awake relaxed state. Theta 4-8hz – these are the frequencies the brain generates when in a light sleep state. Use this if you want to fall asleep. Delta 0.5-3.9hz – these are the frequencies the brain generates when in a deep sleep state. Use this if you want to fall asleep and go into the deepest state of sleep. This is useful for a person who is sleep deprived. In the frequency files included in this series (see the table below) are files with frequencies naturally found on the Earth – the Schumann resonance, some harmonics of the Schumann resonance, and an earth resonance frequency. Schumann 7.64-8hz – this sweep of frequencies centers around the Schumann resonance frequency of 7.83 Hz. The length in time of this file is about 18 minutes. This sweep is useful for relaxation, and may put you to sleep. Schumann 1st 13.3-14.8hz – this sweep of frequencies centers around the 1st harmonic of the Schumann resonance. This will also be relaxing, but you will be kept in an alert state. Schumann 2nd 20-20.5hz – this sweep of frequencies centers around the 2nd harmonic of the Schumann resonance. This is a healing set of frequencies, and you will be kept in an alert state. Earth Resonance 9.1-10hz – this sweep of frequencies centers around the frequency the earth itself generates. This is a very healing set of frequencies, and may or may not put you to sleep.